In the first few minutes of her stay in Ravenhall, she’s still able to kid herself. After all, no one is scraping tin mugs against the bars. Prison initially seems a quitter, more subdued place than she’d expected. More like a hospital ward at eleven in the morning, but with patients who have been misdiagnosed, with galling consequences. Injustices that leave them pondering gloomily, nursing their outrage. Almost two years after her daughter Aida’s disappearance, Anne Baxter is resigned to the fact that she is going to be arrested for her murder. Aida’s body has never been found, but nobody can understand why Anne would have taken her autistic daughter bushwalking on Wilsons Promontory, or how she could have lost sight of her. Unable to prove her innocence, Anne waits, in limbo, as the media stalks her, her neighbours shun her and complete strangers attack her. 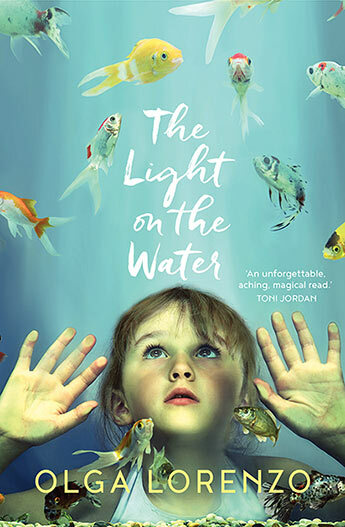 The Light on the Water is a masterful exploration of loss in various forms – not only has Anne lost her daughter, but the disappearance came in the wake of the collapse of her marriage. She has also lost sight of who was and of any sense of normalcy in her life. At times it seems that the obstacles preventing her recovery are too high – her barrister ex-husband seems unsupportive, her remaining daughter seems self-absorbed, and her sister and mother are terrible. Most of her friends have drifted away, and with no real leads as to what happened to Aida, the circumstantial evidence mounts. Yet Anne finds ways to keep going, to keep functioning, even managing to find new friends and allies in unlikely places. At times really troubling, The Light on the Water is nonetheless absorbing and deeply satisfying.